No ticket to the Nasrid palaces? No problem, there’s lots more to see on La Sabika! 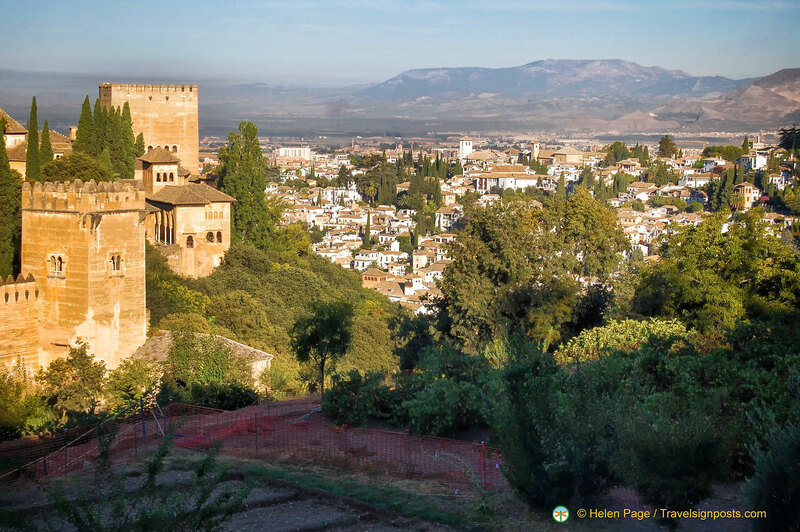 La Sabika is the hill on which the palace of the Alhambra stands in Granada. You have to visit the Alhambra if you go to Granada. 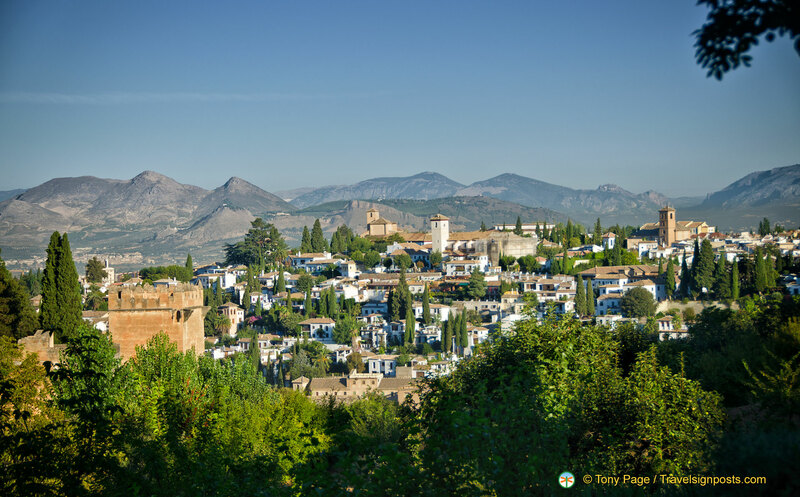 Many of the locals in the Andalusian village where I live spoke the name of the Alhambra in awed tones or with grand flourishes, as though the magnificence of this ancient Muslim palace was beyond words in either Spanish or English to describe. Unfortunately, not having bought a ticket in advance, I missed it. Well, the most famous bit, anyway. 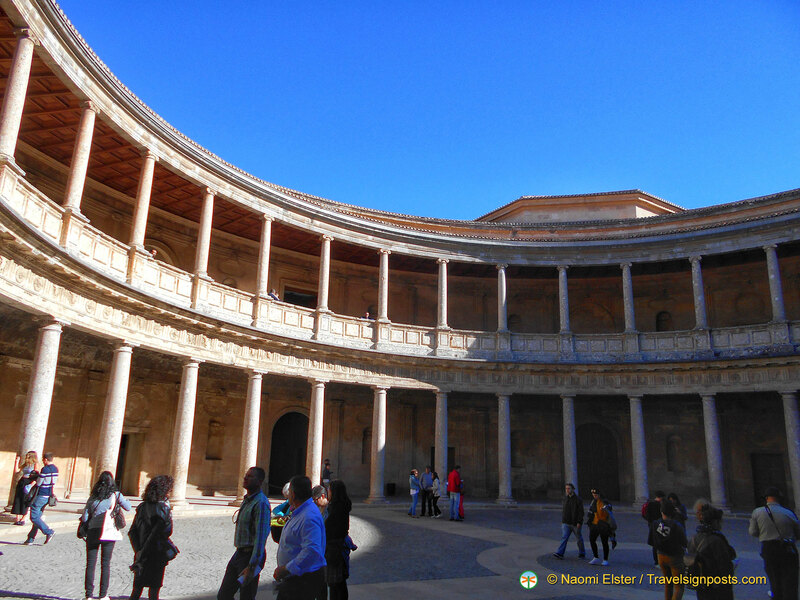 But fortunately, as I discovered, there’s a lot more to see on La Sabika apart from the Nasrid Palaces, so if you fail to get into those star Alhambra attractions (or you’ve already seen them), that walk up the hill is not wasted! The magnificent Alhambra palace itself is actually part of a “palatial city” situated strategically on the hill of La Sabika. In less peaceful times, this vantage point would have been a huge advantage to the rulers and their armies; these days, the panoramic views of the entire city of Granada and the surrounding meadows are a spectacular boon to the many tourists who visit this UNESCO World Heritage Site year-round. Palaces, a massive fortress, museums, art galleries, pleasure gardens – they’re all to be found on La Sabika. The Palacio de Carlos V feels a little out of place on La Sabika. A sixteenth century add-on to the North African complex, the palace has a decidedly more European feel, and for me, it didn’t have the same awe-inducing sense of the exotic as the imposing sand-coloured fortresses from the time this part of Spain was ruled by an entirely different race. It is built with a ground plan of a circle enclosed in a square, and my first thought was that it was like the Colosseum, but smaller and in better nick (the Colosseum has been plundered by Italian officials who used the rock to build roads until embarrassingly recently). However, the palace is magnificent in its own right, and for travellers who have seen something of Europe, the juxtaposition of this relatively common Latin design on a hill full of architecture so completely different makes the rest of the attractions on the hill seem even more unique. Standing on the upper level of the inner patio, looking down at the circular courtyard, you can’t help feeling powerful – which was probably intended. Carlos V, who built the palace, was the grandson of the Catholic rulers who reclaimed Granada from the Muslim Moors. It’s impossible to miss that this grand palace was put here to make a point. 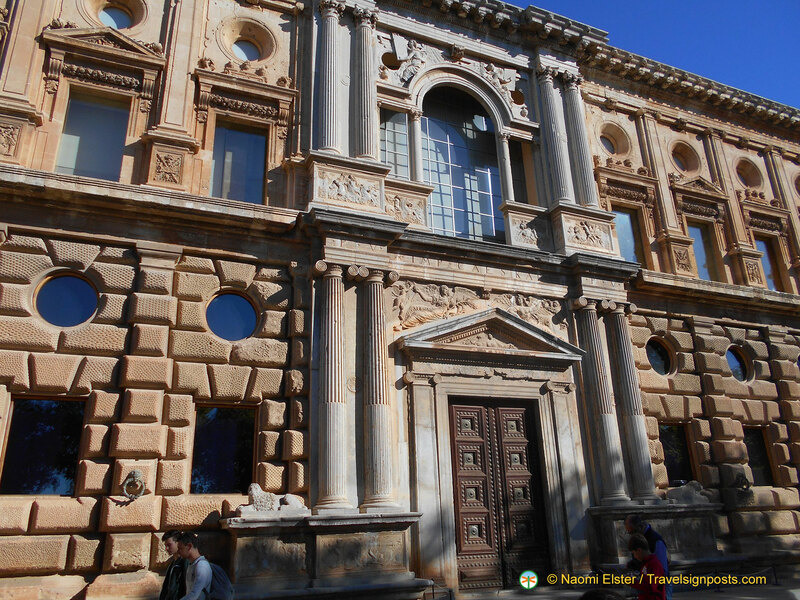 The ground floor of the Palacio contains an interesting Museo de la Alhambra (museum of the Alhambra), with one of Andalusia’s most impressive collection of Moorish art. I browsed this part of the palace with great interest, before going upstairs, to the Museo de Bellas Artes (museum of fine art). I didn’t stay half as long here. Impressive as the paintings were, it’s hard to avoid seeing pictures like them in Spain; Catholic saints being martyred depicted with such enthusiasm that few gory details of their martyrdoms are left to the imagination. As a biologist who spent most of the last few years with a box of tumours on her desk, I wouldn’t describe myself as particularly squeamish, but ambling around a gallery looking at pictures of people being tortured isn’t how I want to spend a holiday. The fortress of the Alcazaba is possibly one of the most militaristic buildings in Granada, and like the Palacio de Carlos V, it was also used to make a point. Once a Moorish stronghold, it was from here that the Spanish flag was first flown when the Moors were driven from the city in the 1400’s. The Alcazaba is the oldest part of the Alhambra complex and is thought to have been built in the 9th century, before Granada was a Moorish stronghold. It had since been used as a garrison, and a prison, and the views from its towers are spectacular. It is well worth the climb to the top of the Torre de la Vela from which point you have 360° view of the mountains, the vega, the city, the Albayzín and Sacromonte. I felt privileged to be able to visit the Alcazaba, but, in keeping with its history, I left with an impression of strength rather than of beauty. There are some hotels situated on La Sabika itself, which are worth considering if you’re planning a short stay with the Alhambra as your main interest (see below). Although the city of Granada is just fifteen minutes walk, the trees and park of the lower part of the hill give such a sense of tranquillity that the vibrant buzz of Granada feels a whole world away. If you feel like somewhere a little more in the city, I’d recommend the neighbourhood of El Albaicín to any visitor. The area itself is vibrant, safe, architecturally interesting and close to most of Granada’s main attractions. The Alhambra is within a fifteen minute walk, which is about as close as you can get if you want to stay in the city itself. 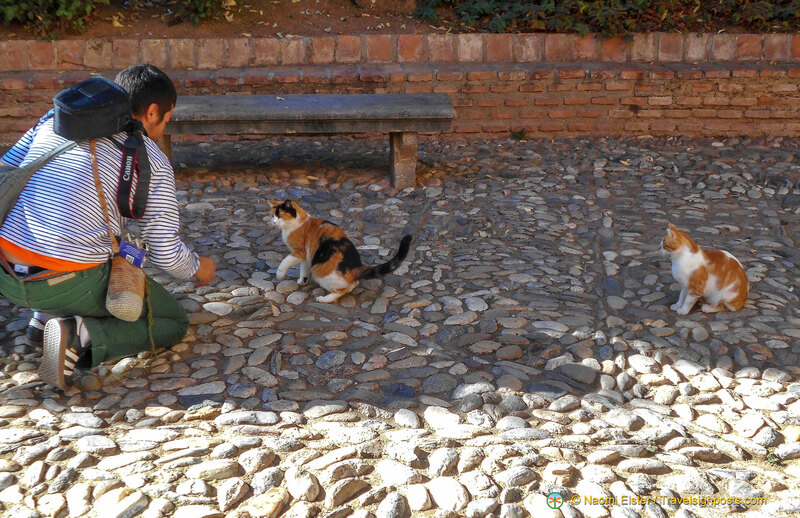 Although the Alhambra is fêted as its main event, Granada, a beautiful, fascinating city with plenty of culture, is anything but a one trick pony. If you can, book Alhambra tickets in advance. If, like me, you weren’t quick enough off the mark, make the trek up the hill anyway. Even if you don’t get tickets, or you decide you’d rather not get up before the sun to try, there’s more than enough on Sabika Hill to make the walk worth it. 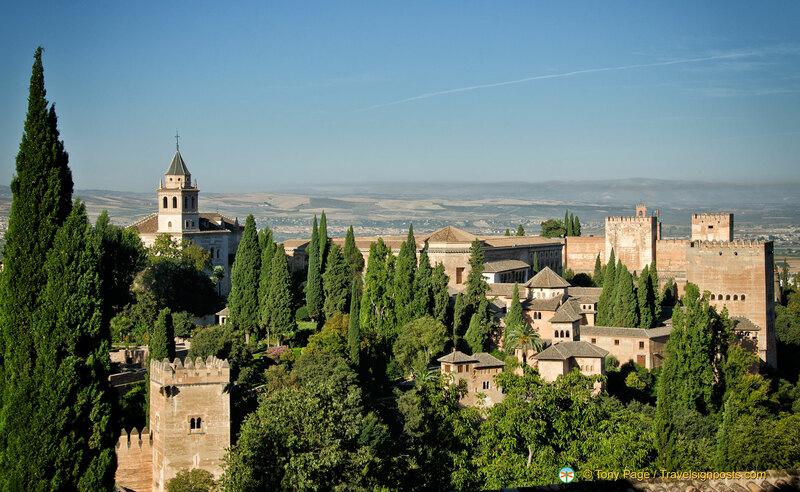 There is a huge choice of hotels in Granada, but if being close to the Alhambra is a priority, hotels like the Parador de Granada, Alhambra Palace and Casa 1800 Granada are within 100 to 500 metres away. 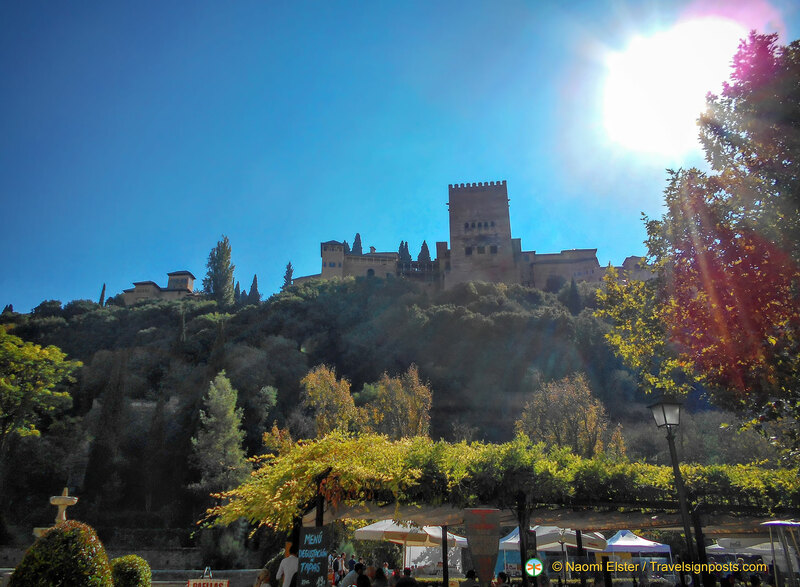 Personally, I would prefer to be in the Old Town or Albaicín districts as it is easier to see other Granada attractions as well as to go out in the evenings. For other hotels near the Alhambra see HERE. 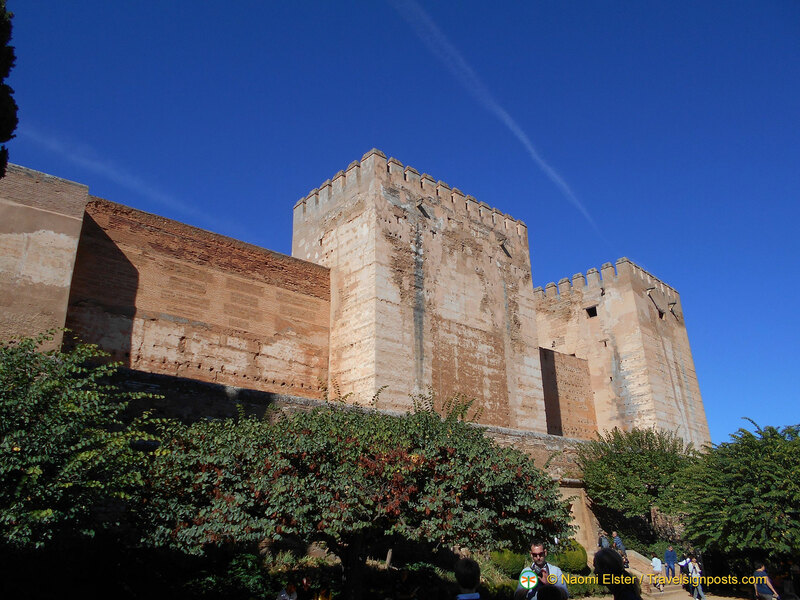 See photos of the Alhambra at Travelsignposts Alhambra photo gallery HERE.